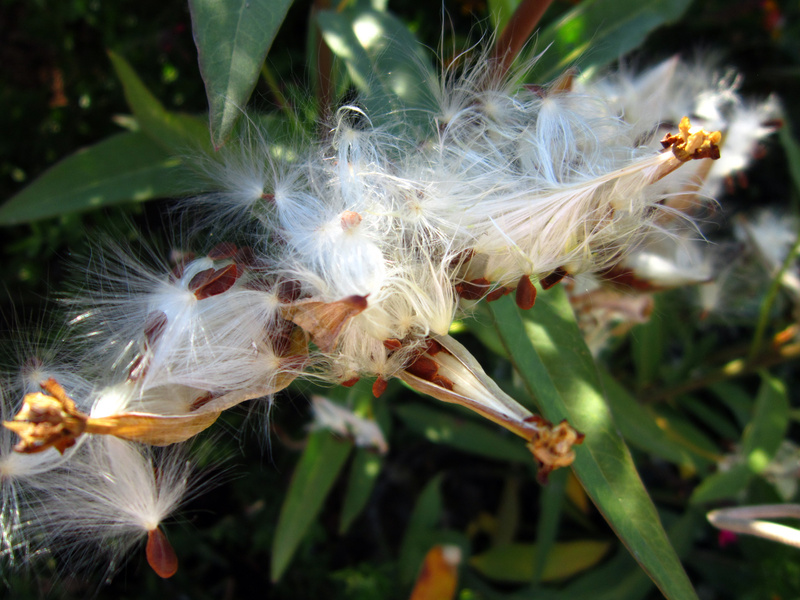 I always thought of Milkweed as a weed. I never knew that it had such mysterious powers. 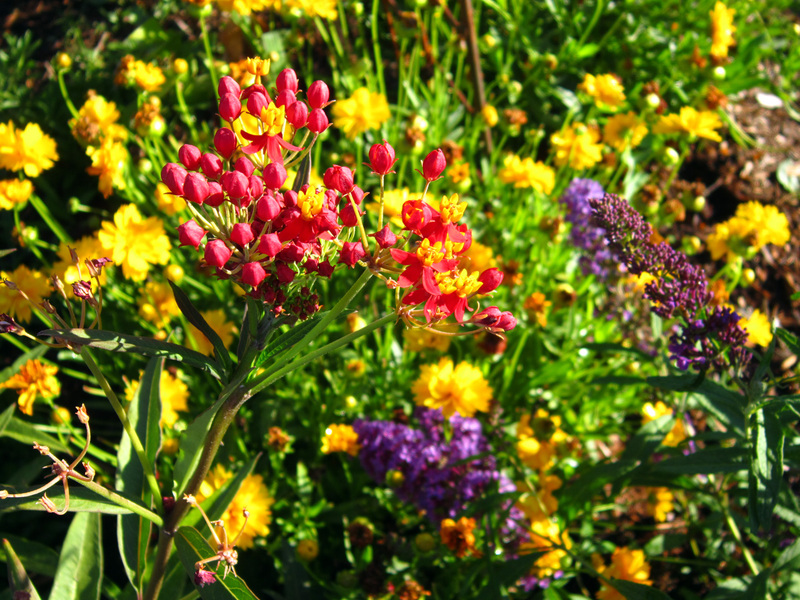 I stumbled across Asclepias, or Tropical Milkweed, in our nursery this spring. I never had enough hours of direct sun in my own shady garden to even consider it. Listed among its virtues (color and height) was its ability to attract butterflies. In our area it grows as a perennial. Bonus. It will return year after year. I planted a couple of 6” pots at the Homeward Bound Memorial Garden and waited. It wasn’t until later that I read that it was a preferred habitat of Monarch Butterflies. By the looks of things in the garden tonight, they are delighting in their home. As the sun lowered and temperatures “cooled” to a more moderate 94-degrees, they were putting on quite a show; delighting in a dance that had everything to do with each other and nothing at all to do with me. 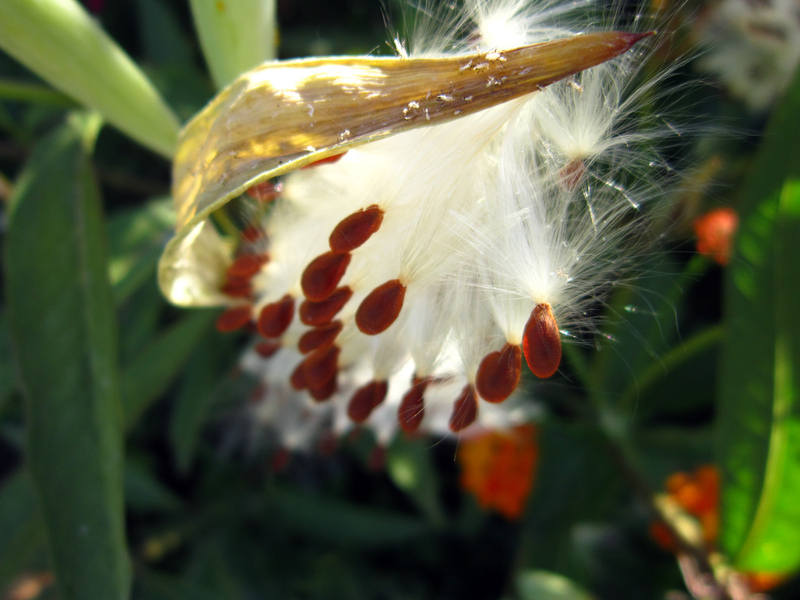 It looked a lot like these Milkweed seeds. Still as I stood, they would not settle long enough to capture them in a photo. So I put away the camera, returned to my watering duties, and just enjoyed them as they swooped, fluttered and glided through the air. 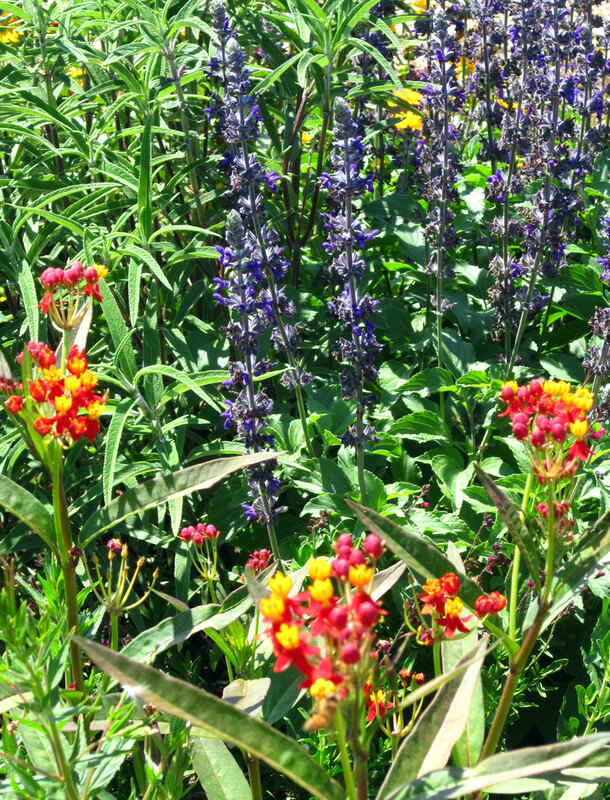 For their beauty and companionship in the garden, they are more than welcome to munch and make their home in the Milkweed of our Memorial Garden. Beautiful flower bed, love the photos. I have a friend in Michigan who gathers the cocoons and raises Monarchs every year. She has even had one of her tags returned from someone in Mexico. I would love to “foster” them too, but milkweed doesn’t grow wild where I am.